Need a great case for your Galaxy S8? The OtterBox Commuter series are up to 48% off at Amazon! The Galaxy S8 is one beautiful, yet fragile smartphone. If you're looking for a sturdy and reliable case to protect your $700 Samsung flagship, you might want to check out Amazon's latest deal for the OtterBox Commuter series. Usually retailing at about $40, you can currently grab a Commuter case for almost half off! The popular Black variant is currently going for $23.03, a discount of 42%. If you're after the lowest possible price (or you simply like purple), the "Plum Way" model costs only $20.80. 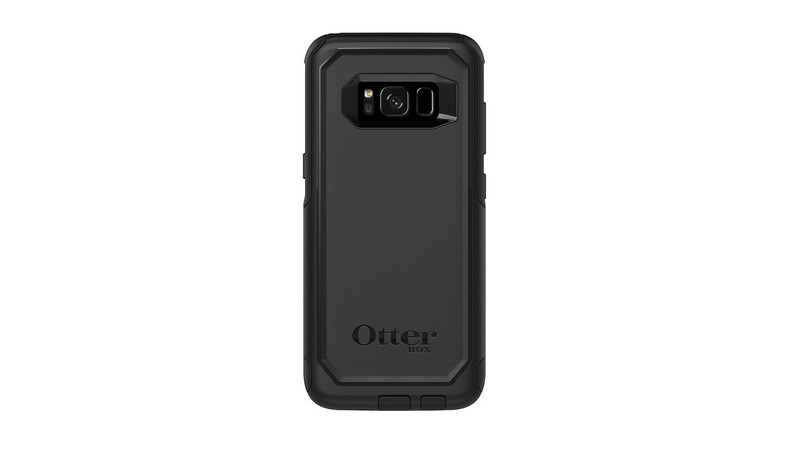 As you're probably aware, Colorado-based company OtterBox has long established itself amongst the top smartphone case makers. The company always boasts that it puts its products through more than 24 tests, and 238 hours of testing, resulting in some pretty sturdy (and bulky) cases that do an excellent job at shielding your phone from damage. The Commuter cases for the S8 offer a great degree of protection while being slimmer than the company's heavyweight Defender series. They feature a dual-layer protection and a specific texture on the outside that allows them to easily slip into your pocket or purse. There are cut-outs for all of the ports, including the USB-C port and the headphone jack. However, there are flaps over these ports, which are there to add an additional layer of water protection to your device. If you're interested in getting one of those, follow the above link to Amazon. Ugly f**king case. Spigen is way better! Maybe in the looks department, but not the protection.